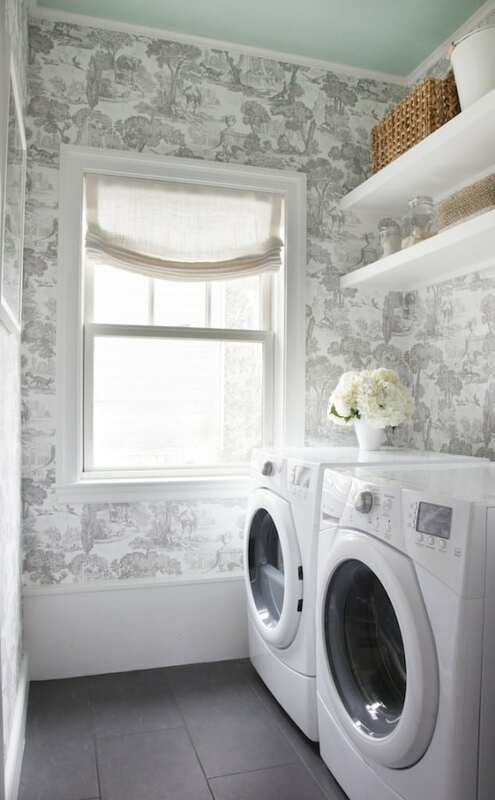 One of my very favorite ways to transform a room is window treatments. 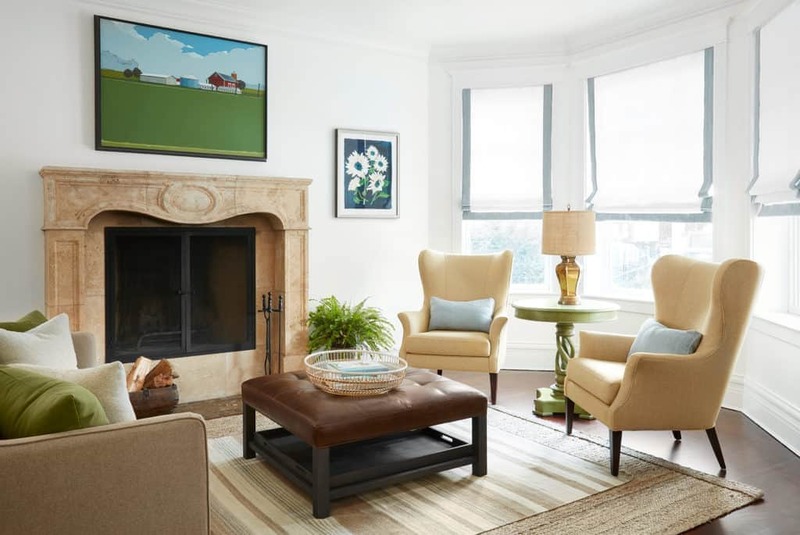 When I started the blog back in 2015, I wrote about different styles of window treatments and shared basic terminology such as roman shades, inside mount, outside mount, drapery panels and cornices. The original post content below, has become my most read blog post to date. Lots of people must be searching for window treatment advice on the internet! SO I wanted to update this post with some new window treatment ideas from our design portfolio. Windows present unique challenges in almost every home and there are so many creative solutions. I suggest looking at pictures of interiors you like and noticing how the window are treated. Thinking about the space you have around your windows will also help inform the best decision. 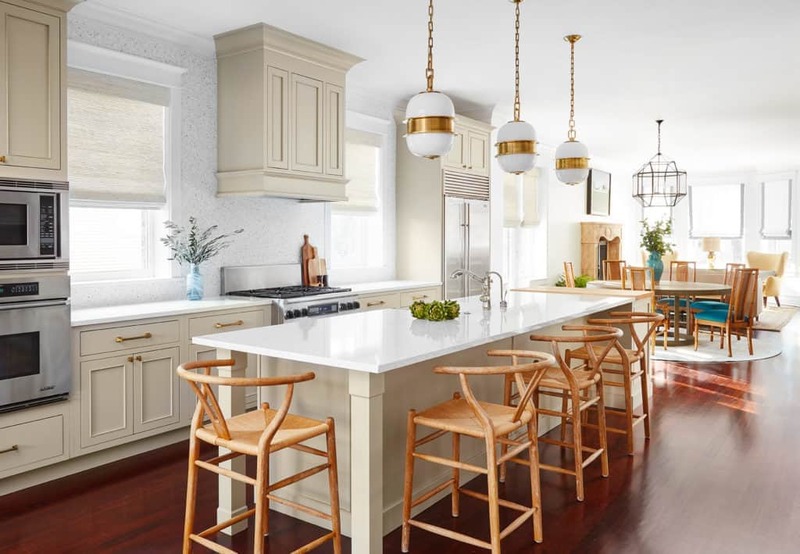 Here are some updated pictures from our Centered by Design Portfolio, along with brief explanations to help you see window treatments in a new light! 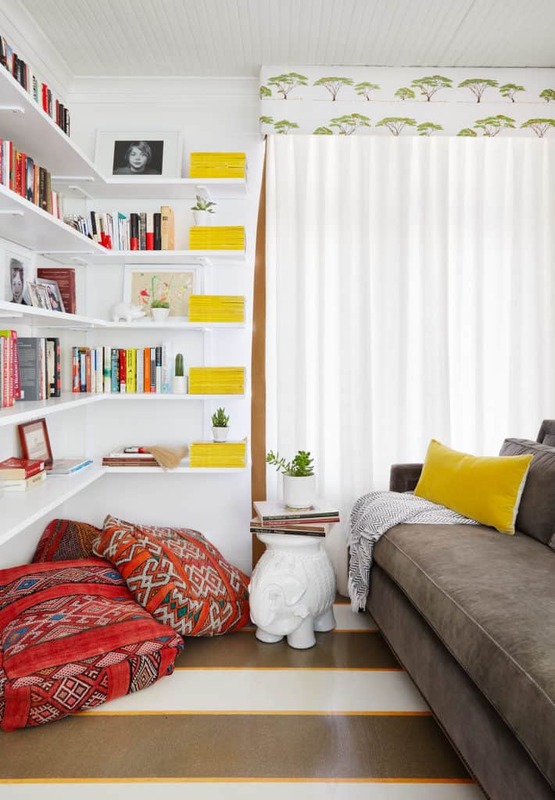 Also, don’t forget you can use drapery not just on windows, but as a canopy in bedroom, create a room divider or even hide an ugly wall or strange architectural feature. 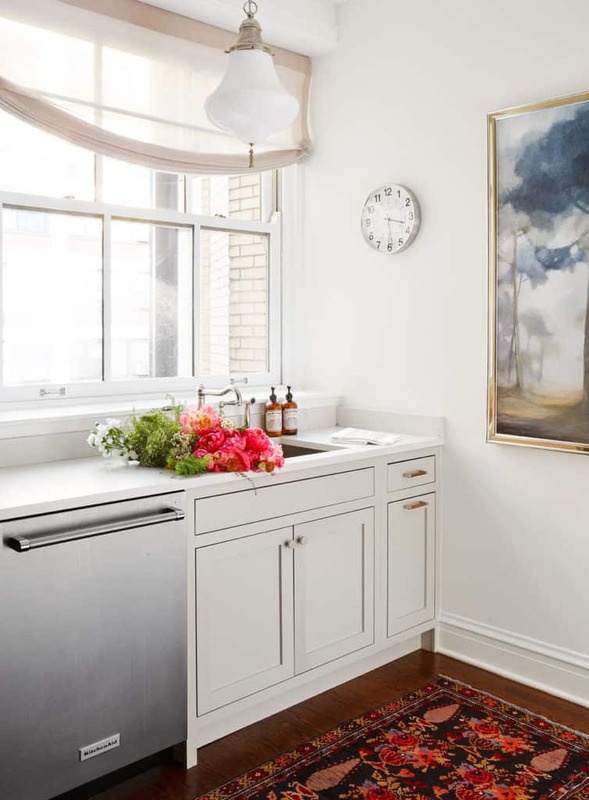 Two of my favorite designer/ bloggers have also shared more on window treatments. Follow the links if you want to take a deeper dive into everything windows and drapery! CHECK OUT French & French Interiors (Sante Fe) and Megan Pflug (New York State). 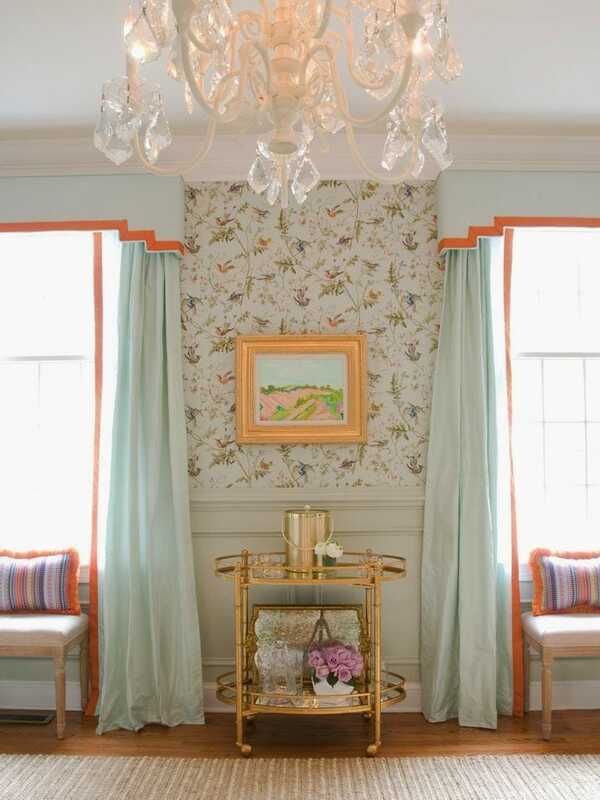 Let’s first take a look at decorative drapery panels. Decorative panels frame a window and can create drama and add color, but they aren’t actually functional. 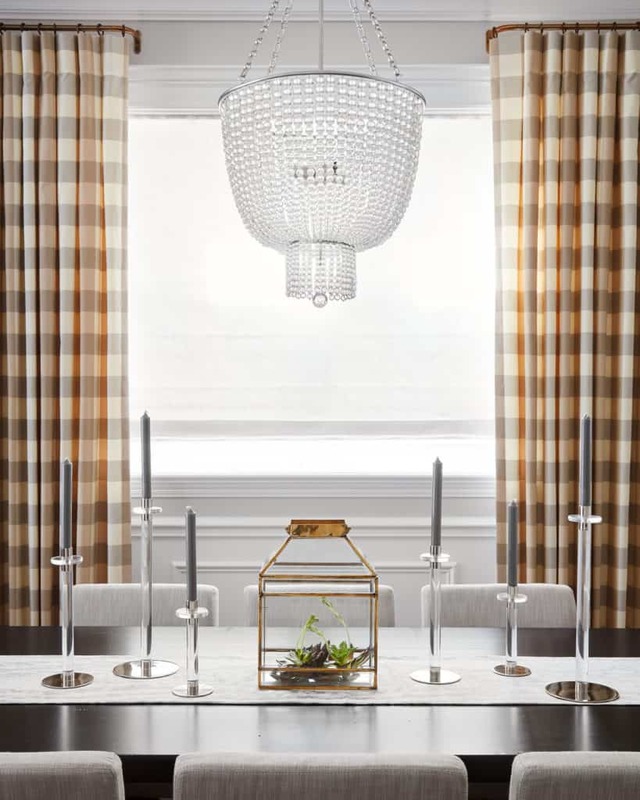 In our Luxe Lakeview Dining Room, these plaid panels are decorative, while the sheer inside mount roman shade is functional. Above, in this Centered by Design nursery a functional roman shade (with blackout lining) is perfect for the baby’s room, but to add height to the otherwise awkward basement window we added decorative drapery panels. Our Vintage Lakeshore project shows a peek at functional drapery panels (on rings) that are held with a beautiful tassel tie-back, because these windows are designed to stay open all most all the time. And below in the kitchen, a sheer balloon roman adds softness and sophistication. 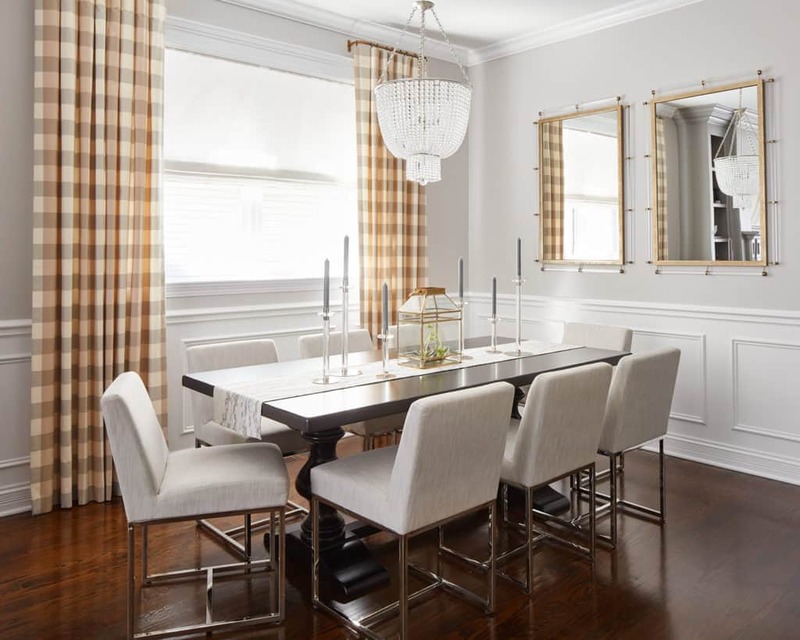 Below at our Lincoln Park Single Family Home project, you’ll notice inside mount woven shades with valences in the kitchen windows, and inside mount fabric romans (with trim on three sides) in the front sitting room. Inside mount shades are nice when you have beautiful molding or woodwork, and there is no need to hide it. It’s a nice clean and modern look, especially if you don’t have room to mount the shade outside the window. Another “outside mount” technique is a cornice. A cornice can be purely decorative, but it also camouflage or mask windows that might be too short or have an awkward layout. Here in an office we decorated the cornice takes an otherwise short window and elongates the look up to the ceiling. The world of window treatments is wide, and designers love their lingo – pleated, puddled, smocked, skirted, etc. Most of the terms aren’t really necessary, so don’t worry! With a small amount of terminology you’ll be much better equipped to look for, and discuss window treatments. This little post will only scratch the surface of possibilities, but I wanted to share some information that I think will be helpful and on-trend! Windows are often neglected in an interior, but they are such a wonderful canvas for color, texture, print and filtering light. Adding window treatments is one of my favorite ways to really bring a room together, and make it feel polished. 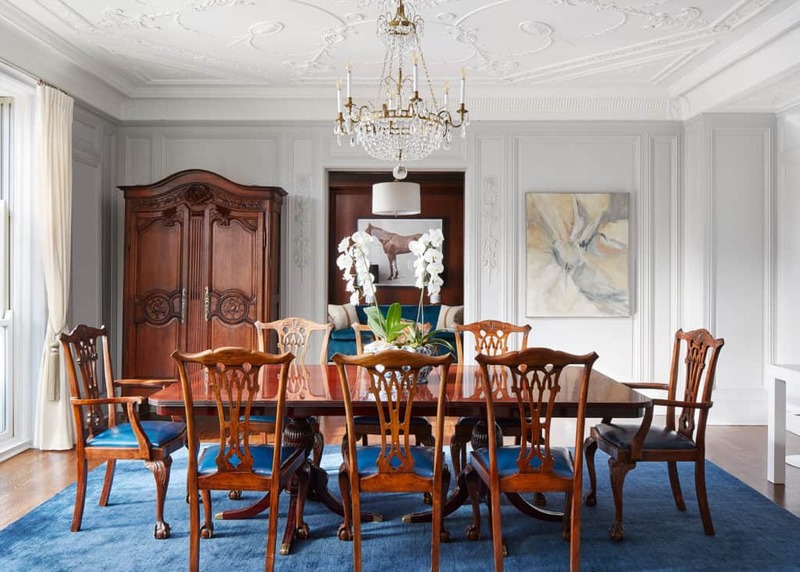 In the modern and transitional homes I’m usually working in, there are two styles of window treatments I typically gravitate towards – roman shades and drapery panels. I’m going to also touch briefly on cornices. Roman shades come in many styles, but most often you’ll see a flat front or relaxed roman shade. The shades can be mounted on the inside of the window or the outside of the window. Mounting inside works well if you have nice architectural details and trim to showcase. Mounting outside works well to hide not so attractive windows, and to make the windows appear larger. 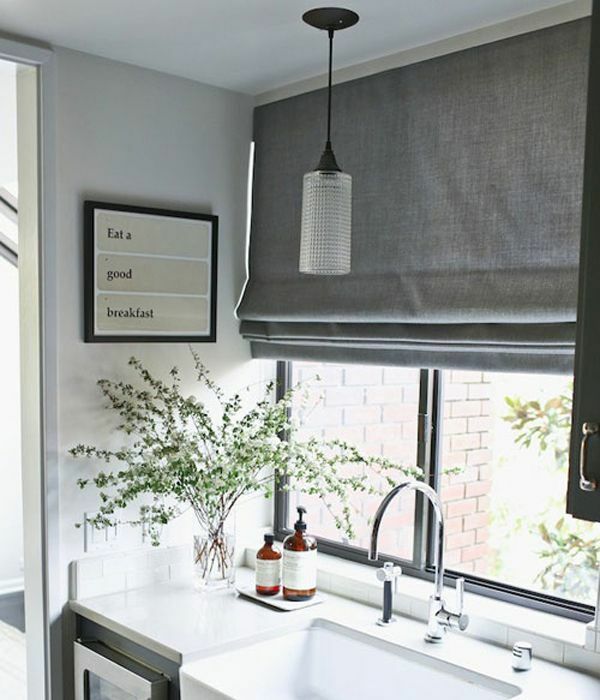 Natural woven shades are particularly popular at the moment. I like Smith & Noble for custom woven shades, but you can also find them in certain sizes at Home Depot or similar stores. All of the above show a single window treatment, but it’s often nice to layer treatments if you have the budget to do so. 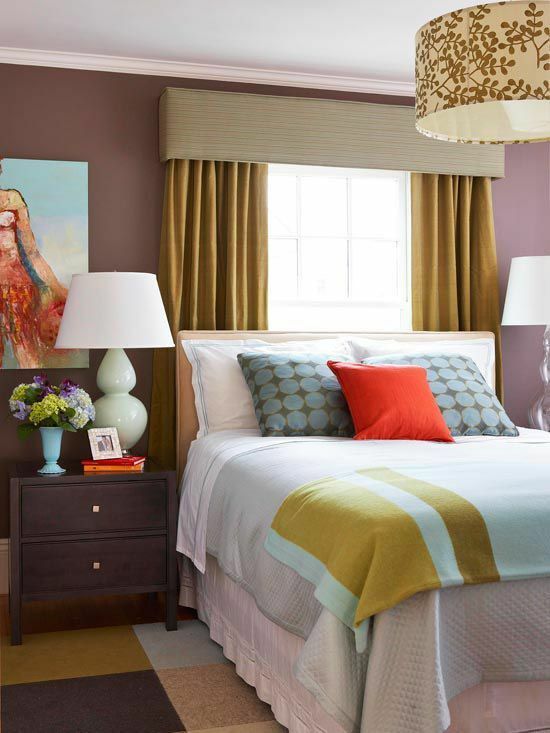 Layering can provide additional texture and create a richer depth/look for the space. It also allows for a shade for privacy and drapery as the decorative feature. Hang your curtain rods high! Just under crown molding if you have it. If you don’t have strong architectural details creating a natural break, make sure to give the window some breathing room. 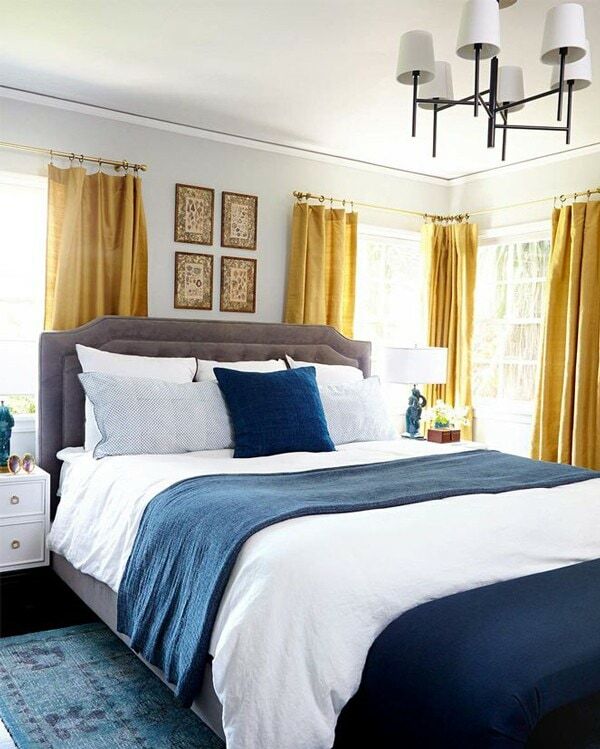 If you’re about to go hang some curtain panels make sure to take into consideration the way the curtain attaches to the rod and how that will effect the length of the curtain. For instance, ring clips (pictured here) and tab tops will increase your overall curtain length. Grommets and rod pocket hanging styles won’t change the hanging length as much. It’s also ideal that drapes or curtains hang to the floor, known as “the kiss,” drapes should just float right above or kiss the floor. Avoid the too short curtain that cuts the wall in half! Also, if you are measuring for fullness (how much your curtain is going to gather) it’s usually acceptable to have 1.5 – 2.5x the width of your window as the measurement. Most standard window curtains come in 50 or 100 inch widths. Measure window width from outside of trim to outside of trim. 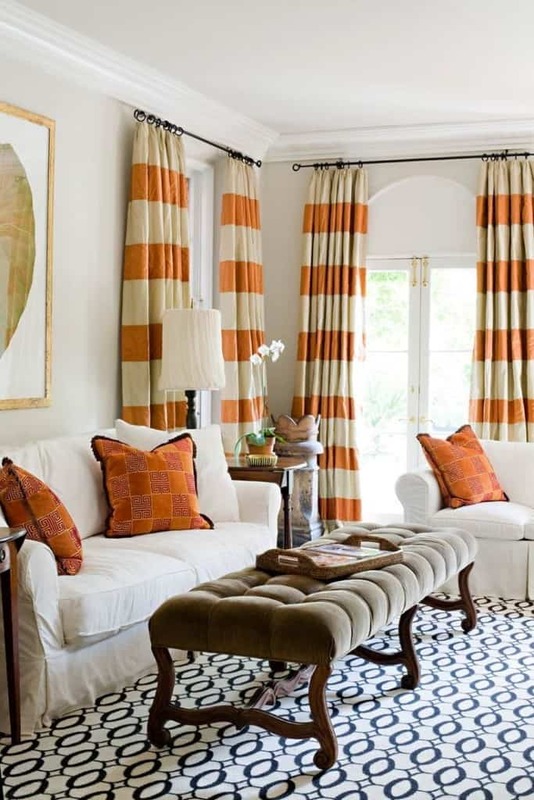 Hope this gives you some good new information and inspiration about window treatments! 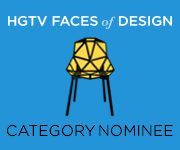 The Ross House is featured on Design Sponge!